Without a doubt, the best way to enjoy nature's bounty in Florida is to spend it outdoors. Its tropical climate is perfect for every imaginable activity under the sun - from swimming, sun bathing, playing outdoor games, outdoor cooking to camping. Besides, spending a lot of time outdoors can save you a lot of electricity as you won't need lights and air-conditioners. Outdoor living also promotes healthy living as you'll be breathing nothing but fresh air, and the sight of plants and water features can calm the senses. We at Legacy Pavers know that every Floridian home needs to have the ideal outdoor living area where family and friends can gather together for relaxation and recreation. With our breathtaking creations, you and your loved ones can enjoy outdoor life like never before. What Does Legacy Pavers Have in Store For You? Outdoor Kitchens. Why do you need to run back and forth to cook meals from the kitchen to the barbecue when you can cook both in an outdoor kitchen? Our outdoor kitchens are functionally and aesthetically designed to match any landscape, as well as make your gastronomic experiments a lot more enjoyable. We can furnish your outdoor kitchen with grills, stoves, cabinets, and even freezers! Fireplaces and Fire Pits. A fireplace can be the focal point in your outdoor kitchen where you can cook those mouthwatering pizzas or have it installed in your patio where you and your loved ones can snuggle around as you exchange stories. You can also have a fire pit in an area of your landscape for those outdoor parties or night camp where you can roast marshmallows or kebabs. Patios. What's the best way to impress a guest than entertaining him in one of our well-designed patios? We can make patios from natural stones, concrete pavers, hardwood, or bricks -- all designed for maximum comfort and durability. 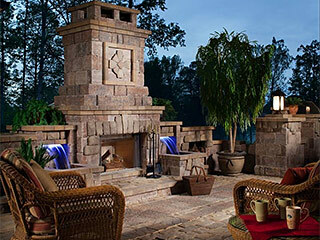 This will ensure that you only get the best outdoor living experience. Gazebos. Gazebos offer a quiet place to go to relax and unwind or have a small picnic amid the fragrance and beauty of flowers. Our company has a wide range of gazebo designs to fit into any kind of landscape. Decks. A good deck must provide ample space for chairs and loungers for sunbathing or, simply, for relaxation. A pool deck must be made of smooth but non slip materials to guarantee safety. 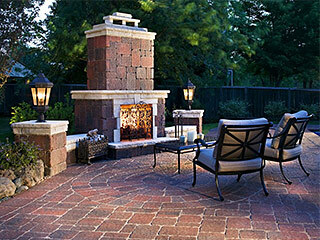 Why Get the Services of Legacy Pavers? We at Legacy Pavers take pleasure in satisfying your needs and desires; that's why we only use the best materials that can stand the test of time. Our state-of-the art tools and equipment will ensure that each installation and creation will be done as perfectly as possible. Most of all, we take pride in our team of licensed experts who have gathered years of experience and are constantly updated in all aspects of outdoor living features. Rest assured that once you hire us, our team will supervise your project from start to finish. Want a job well done? Call us now!